Lovelyz is coming to Singapore. Formed in 2014 by Woolim Entertainment, Lovelyz has amassed a loyal following, thanks to its girl-next-door image. The girl group consists of eight members: Baby Soul, Jiae, Jisoo, Mijoo, Kei, Jin, Yein and Sujeong. The group will be touring in support of its latest EP, Sanctuary, which was released in November of 2018. Stream the record here. 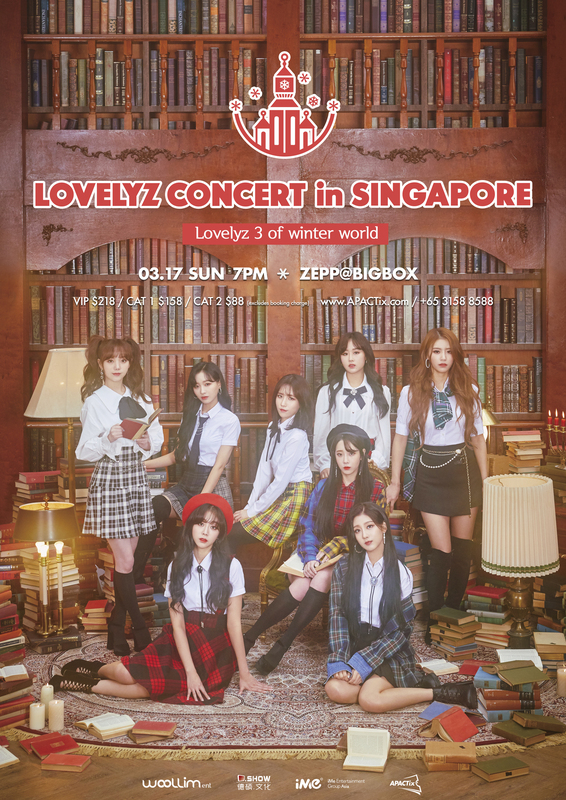 Lovelyz will perform in Singapore on Sunday, 17 March from 7pm onwards at Zepp@BIGBOX. Tickets will go on sale at 10AM on 23 February via APACTix. Tickets will be priced at $88, $158 and $218.